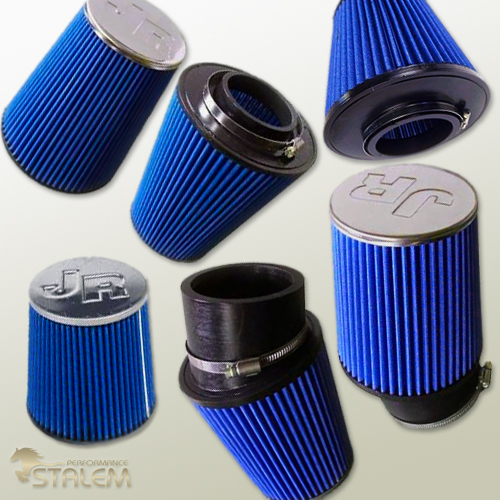 For specific car projects where an induction kit is not available, JR Filters a wide range of conical air filters for air intakes ranging from 8mm to 155mm. 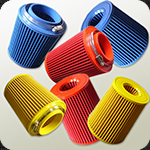 Engine capacities up to 490 BHP are catered for so you can be sure that there is a filter available whatever the application! Many cones are available with either rubber or chrome end caps. 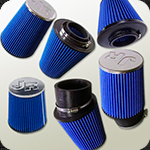 Each JR colour filter is designed to incorporate an inverted cone filter in the end cap to help increase air intake volume. The colour range cones are available in three colours; Blue, Red and Yellow, fit air intakes from 65mm to 100mm and cater for engine capacities of up to 270 BHP.